to rescue migrants and refugees in trouble at sea. Photographer Nicoló Lanfranchi joined the crew onboard to chart the progress of the mission, which began in Marseille and will head to the Libyan coast. This is his first dispatch." rather than to necessarily cross the border into the US, although many were expected to apply for asylum at the border. The final group of about 200 people were stopped in Tijuana with border authorities stating they could not accommodate them." 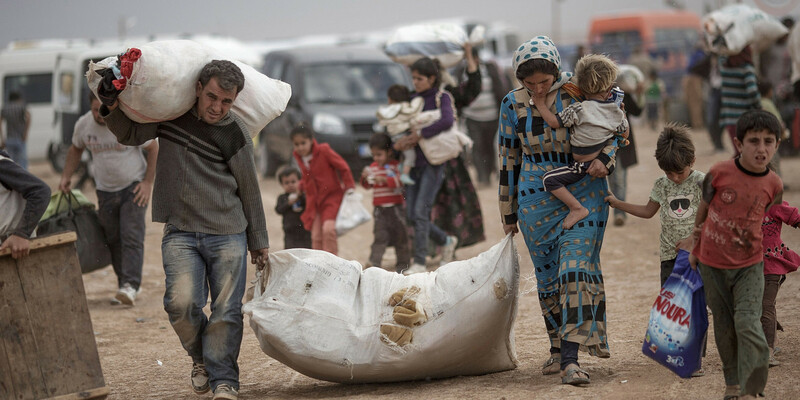 "When you have to flee your home, what do you take? Since the last exodus from Myanmar in August, more than 688,000 Rohingya people have escaped to Bangladesh. Here, refugees talk about the things that mean most to them"
"More than a million refugees travelled from the Middle East to Europe in 2015.
collected in his new book, I Can Only Tell You What My Eyes See." "Photographer David Ramos was onboard the rescue vessel Golfo Azzurro, operated by the Spanish NGO Proactiva Open Arms which provides assistance to refugees and migrants in distress at sea." so took to the streets with his son to collect recyclable material which he sells on to support his family." reporting from 13 countries on behalf of Oxfam. over how best to deal with resettling people." covering the unfolding and unprecedented refugee crisis. He talks frankly to the Guardian about his experiences." picture they had taken, along with a brief back story." in Germany, Austria, Sweden and other western European countries." "Hundreds of migrants have been arriving in Germany and Austria as the migrant crisis continues across Europe." Camp de réfugiés de Sarkusta, sud de Mogadiscio, 4 mars 2015." in the eastern Lebanese border town of Arsal, Lebanon." "This boat is bound for a Greek island from North Africa." to be the largest refugee camp in the world." 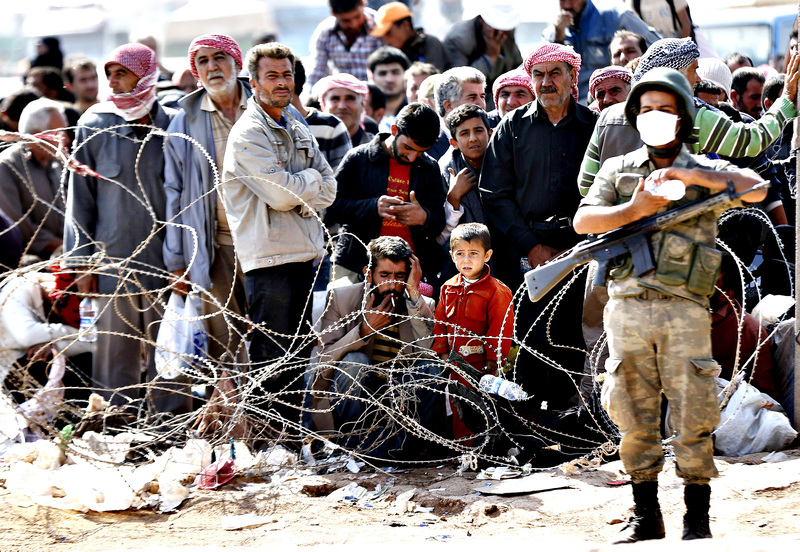 "Kurdish refugees from Kobani at the Turkish border." to assist teachers working with political cartoons..."
Some images may be disturbing.